This is the Second part of a series of articles on the problems Nintendo would have to overcome (or the compromises we the gamers would need to live with) if Nintendo launches a Nintendo 64 Classic Mini. Both the NES and SNES minis used (practically) the same hardware with good results in both cases, but emulating the N64 with it is, while possible, not the best of the experiences, at least compared with what is possible in the SNES. The hardware is finally pushed to its limits with these early polygonal games, so, unless Nintendo manages to optimize it (which is possible), re-utilizing this same hardware might not be the best option. The memory found in the current hardware is a measly 512 MB chip, but as always, that’s not the available space we get to work with. The NES gets around 300 MB of space ‘available’, and it’s even less for the SNES, probably because the improvements to the OS, like the rewind feature. 250 MB it’s actually not that tiny if we stay in the pre-64-bit era, but things get cramped with N64 games; with an average of 16 MB, you could fit only 15 games or so. An, hey! Do you like the save state function? that thing where you can preserve the exact point in time you are playing now? The N64 RAM was 4 MB (8 with the Expansion Pack), so we need to allocate at least 4 MB per save state per game. This means that, if we have 10 games, 40 MB must be reserved for the save states of these. The NES and SNES minis have two (modular) controller ports. The (original) N64 had 4. You can do the math. 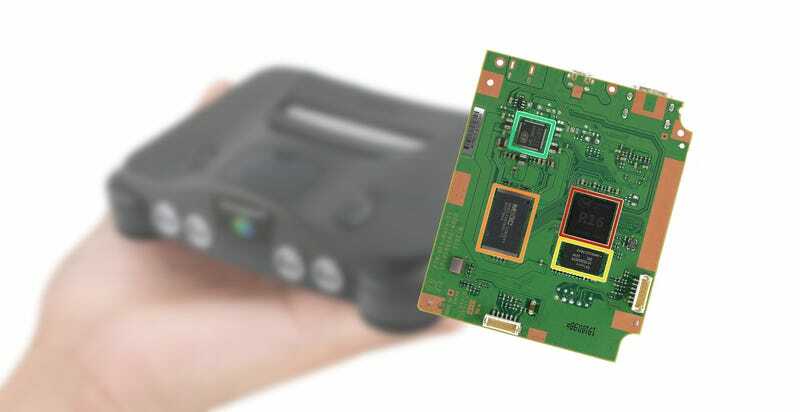 Unless Nintendo can implement a software-based multitap function with the N64 mini, the current hardware simply lacks ports. Upgrade the hardware with something more powerful, with more memory, and with 4 controller ports. It might even be useful for more than the N64 mini.